A pivotal figure in the comic arts scene in Italy and abroad, Igort, born Igor Tuveri, is an Italian cartoonist, illustrator, essayist, and publisher living between Sardinia and Paris. He began his career in Bologna at the end of the seventies, contributing to numerous magazines including Linus, Alter, Frigidaire, Métal Hurlant, L'Écho des savanes, Vanity, The Face. During the 1990s he moved to Tokyo, where he created the series Amore and Yuri, published by Kodansha, and worked with prestigious magazines such as Magazine House Tokyo and Hon Hon Do. His book 5 is the perfect number, a Neapolitan noir, won the Frankfurt Book Fair Book of the Year Award in 2003, and has been translated into six languages. His rich bibliography includes many bestsellers, including the “Trilogy of the East," three graphic novels about his travel experiences in the Ukraine, Russia and other ex-Soviet countries. 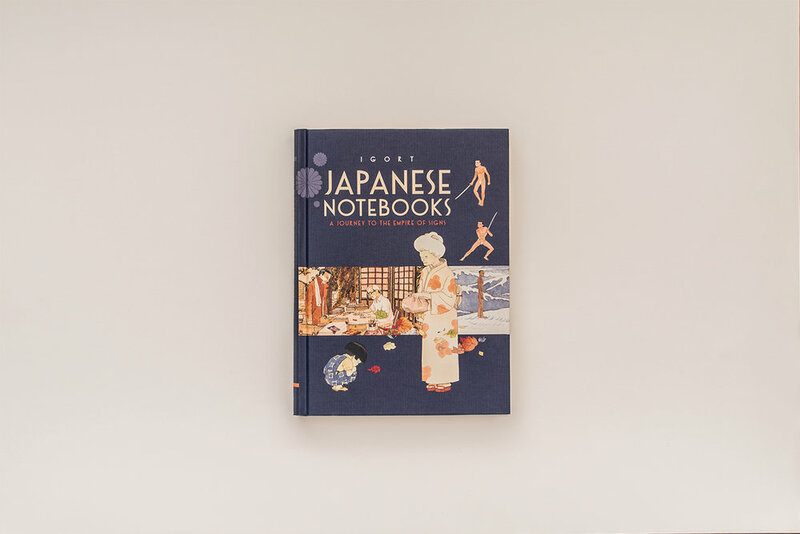 His latest book, Japanese Notebooks, was published in English by Chronicle in 2017.